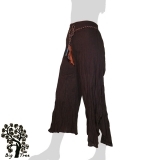 Great, long and very thin cotton ladies pants in dark brown with long floating legs and high side cut. 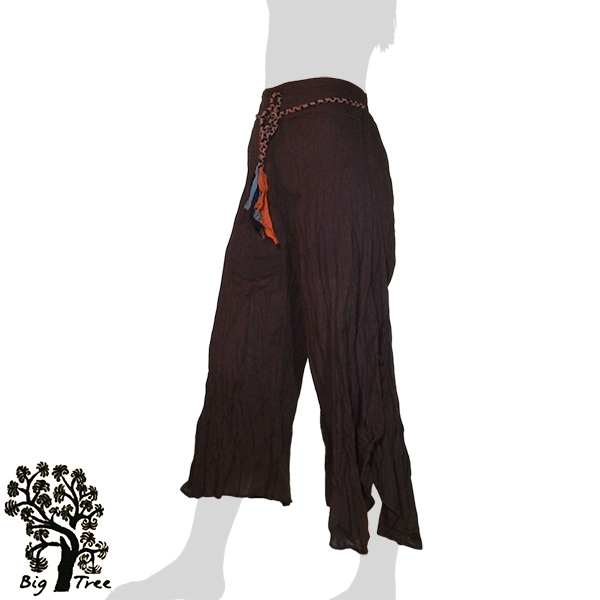 On the rear the trousers have a sewn-in elastic waistband and multicolored waistband laces. They are only available in one size (freesize). Big Tree is a Thai fashion label. 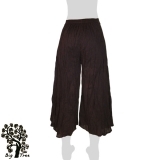 The products are all made of pure cotton and usually with natural colors. We buy directly from Big Tree and sell only original Big Tree products. Alles rundum super. Immer wieder gerne! !